Google searching for a Cheap Bankruptcy Lawyer Near Me, may, or may not, deliver the results you are hoping for. We offer our clients cheap fees and convenience, combined with amazing experience. We have an office close by to most metro areas of Los Angeles County. Our bankruptcy offices are in Los Angeles, Long Beach, and the San Fernando Valley. We think that we fit the bill when you search Google for a Cheap Bankruptcy Lawyer Near Me. Our office has been delivering low-cost quality bankruptcy court representation for our clients since 1989. We want you to call. Ask for Jeff Wishman or Leon Bayer. Call 800-477-3111 Bankruptcy Offices (near me) in Los Angeles, Long Beach and Encino. The case we handle with the cheapest bankruptcy lawyer fee gets the same high quality attention as we give to our cases with the biggest fees. In my firm we are bankruptcy specialists. We handle only bankruptcy matters. We have bankruptcy offices in Los Angeles, Long Beach, and the San Fernando Valley. If you have a divorce or an accident case, we don’t want it. But if you have a debt problem, we are here for you. 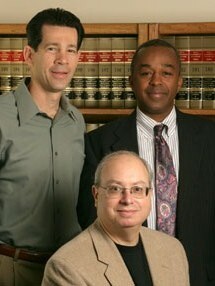 Our Los Angeles, Long Beach and San Fernando Valley bankruptcy law offices opened in 1989. We constantly struggle to keep our bankruptcy fees very affordable. We will do most Los Angeles bankruptcy cases, (Chapter 7 cases), at a fee ranging between $750 and $1500, plus filing fee. Most of our Chapter 7 fees usually range between $750 and $1500, plus filing fee. The simplest cases naturally get the lowest fees. You may find a few lawyers who advertise lower fees than what we charge. But you know at some point the lawyer may sacrifice quality to offer the cheapest fee. I think it’s smart to ask Google to find a cheap bankruptcy lawyer near me. There is nothing wrong with saving money. But pay attention to the warning signs of a rip off. Don’t be a sucker. Nobody gives you a super burger for the price of a slider. A certain bankruptcy attorney was recently disbarred with 810 individual complaints filed against him. He took peoples money that he never earned. Non lawyers set fees and performed legal services for clients who expected legal representation. The clients did not get the legal representation they paid for. A low ball bankruptcy fee just doesn’t buy “much meat.” Be smart. You may wind up the victim of bad legal work. With a bad lawyer you may lose your home, car, or other assets. When you get to bankruptcy court you might find out how dreadful your lawyer’s paperwork is. You don’t have to stay with a bad lawyer. You might have time to switch. Tips on firing a bad lawyer. We found 12,000 different State Bar Complaints Against Debt Relief Lawyers. Since early 2009 the State Bar of California has logged more than 12,000 consumer complaints against lawyers for dreadful debt representation. Every single victim expected a bargain. Every single victim got ripped off. Don’t sign up to be the next victim of a bad lawyer. We have proven that expert Los Angeles Bankruptcy Lawyers don’t have to be expensive. You want a cheap bankruptcy lawyer near me? Then you should call us. Tel: 800-477-3111. We do not expect to get rich off of you. Our fees are reasonable. We also consider ability to pay, and we do not want to turn anyone away over money. It’s easy to find the best bankruptcy lawyer for your case. We want to give you the same level of service that we would want ourselves. This means all fees and costs are disclosed. We can usually offer you a payment plan. You have full access to your personal lawyer. All of your calls are promptly returned. Your lawyer will happily answer all of your questions. (We believe that there are no dumb questions). We will keep you informed. We will explain all of your options. We will suggest a strategy when appropriate. Founded in 1989. Call 800-477-3111. Free Consultation. We even wrote a book that you can have for free. See our book on line at www.bestbankruptcybook.com. Synopsis: Searching for a Cheap Bankruptcy Lawyer Near Me, may, or may not, deliver what you expect. The cheapest bankruptcy lawyer may also be the worst bankruptcy lawyer. At Bayer, Wishman & Leotta we have proven that you can have a cheap bankruptcy lawyer and receive quality bankruptcy court representation. We have been delivering low-cost quality bankruptcy court representation for our clients since 1989. Next articleExplore Bankruptcy. Safely Explore Bankruptcy as a Debt Solution. Los Angeles Honorarios Bancarrota – Cómo pagar su abogado? The California Statute of Limitations – Thousands File Bankruptcy Who Don’t Need To.